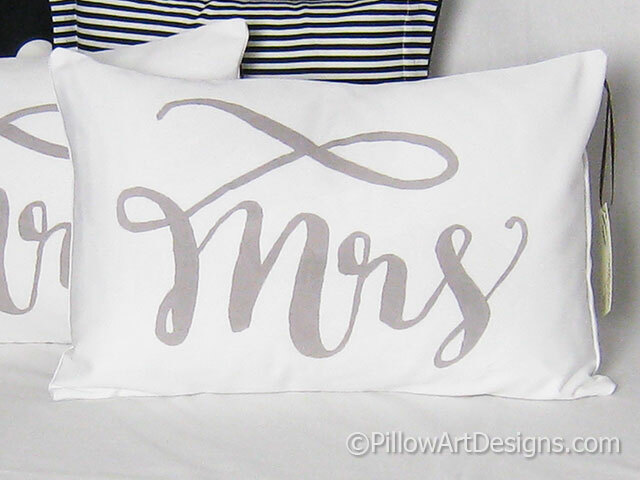 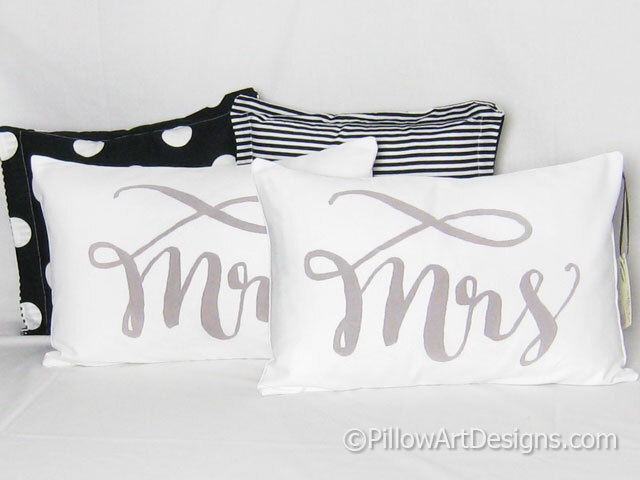 These Mr and Mrs pillow covers are hand painted in a romantic calligraphy style, classic white cotton twill. 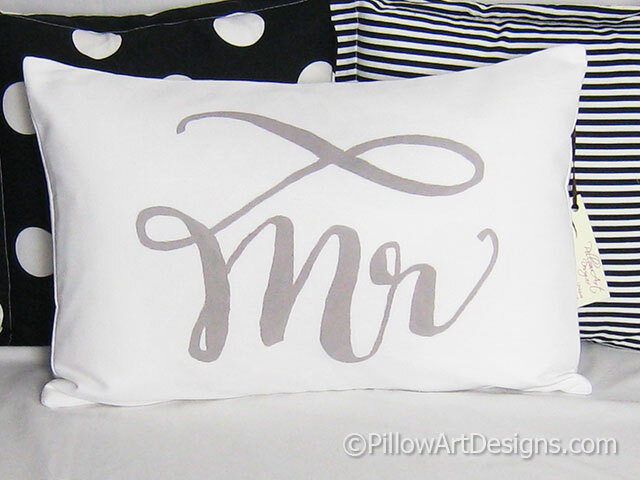 The perfect gift for newlyweds or couples celebrating an anniversary. Also, great as wedding decor! 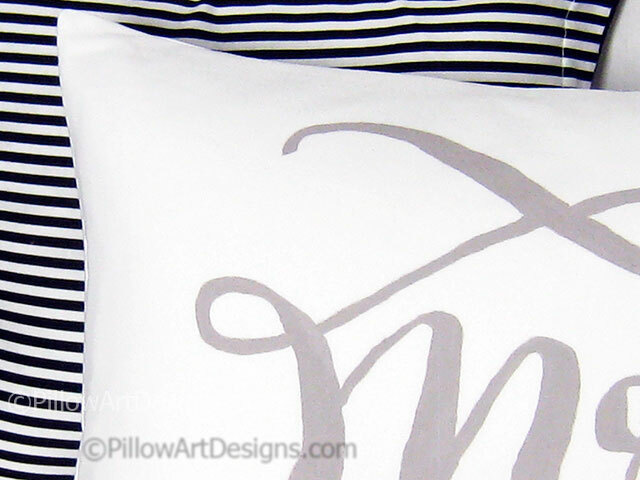 Original calligraphy design by 'happyhandsproject'.